Home - Free Angel Messages Request a Personal Angel Card Reading Generate YOUR free daily affirmation Affirmation Images - always think positive! Would you like to choose a FREE Angel LOVE Card? Or to request a Personal Love and Relationships Reading? Friendship - a true blessing. Please enjoy this collection of inspirational friendship quotes. "A friend is someone who is there for you when he'd rather be anywhere else." 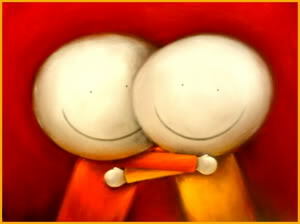 "A friend is someone who knows the song in your heart, and can sing it back to you when you have forgotten the words." "A friend is one who believes in you when you have ceased to believe in yourself." "May your right hand always be stretched out in friendship and never in want." "May the hinges of our friendship never grow rusty." "Don't walk in front of me, I may not follow, don't walk behind me, I may not lead, walk beside me and be my friend." all brought down to them from their Angels above"
This is the official Tranquil Waters website © Tranquil Waters/Mary Jac. Most of the original artists of the artwork that I have used or animated are unknown. I have given credit where possible. want your artwork used here, please contact me by clicking on the "Disclaimer" below. about your visits to this and other websites in order to provide advertisements about goods and services of interest to you.